Dr. Mintz offers same day visits, next day visits, and 24 hour phone access to all of his patients. Board-certified internist Matthew Mintz, MD, FACP, practicing in Bethesda, Maryland, provides old-fashioned, personalized care with today’s advanced diagnostic procedures and treatments. He serves patients in the cities surrounding Bethesda, including Potomac, Rockville, Chevy Chase, and the larger Washington D.C., Maryland, and Virginia areas. 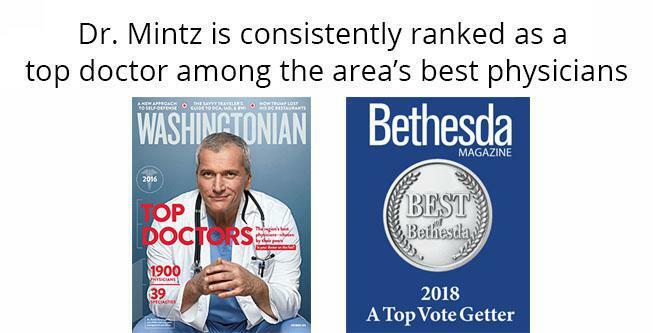 Named one of Washingtonian Magazine's Top Docs since 2012, Dr. Mintz received his medical degree from George Washington University School of Medicine in Washington, D.C. After 20 years practicing medicine and teaching as a full-time faculty member at George Washington University, Dr. Mintz decided to open his own practice in Bethesda. Dr. Mintz is affiliated with and has privileges at George Washington University Hospital in Washington, D.C. and Suburban Hospital in Bethesda. He has researched and published articles on chronic diseases such as diabetes, asthma, chronic obstructive pulmonary disease (COPD), and obesity, and he is active as an educator and personality for local media. Dr. Mintz continues to serve as Clinical Associate Professor, teaching at the medical school and having George Washington medical students learn in his office. Dr. Mintz emphasizes traditional healthcare values, where every patient is a person, and not simply a case. Dr. Mintz restores the idea of the personal care physician, who has a relationship with each patient, removing the frustration that often accompanies contemporary healthcare. Dr. Mintz grew up in Montgomery County, Maryland, and graduated from Churchill High School. He currently lives in Rockville, Maryland with his wife and two teenage daughters. 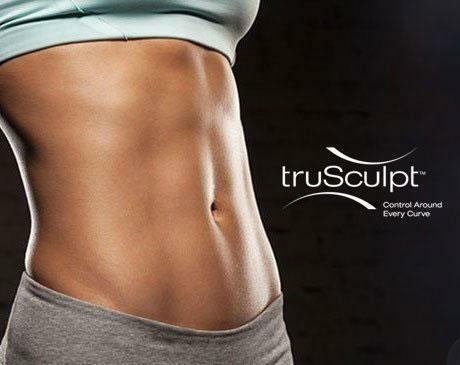 TruSculpt Consultations With Dr. Mintz are Free! Call or Request Yours Online Today. RECEIVE A FREE FLU SHOT WITH A SCHEDULED VISIT!